Unlike other bars in the city, Charlie Murdoch’s offers a full band set every hour to the delight of everyone in attendance. 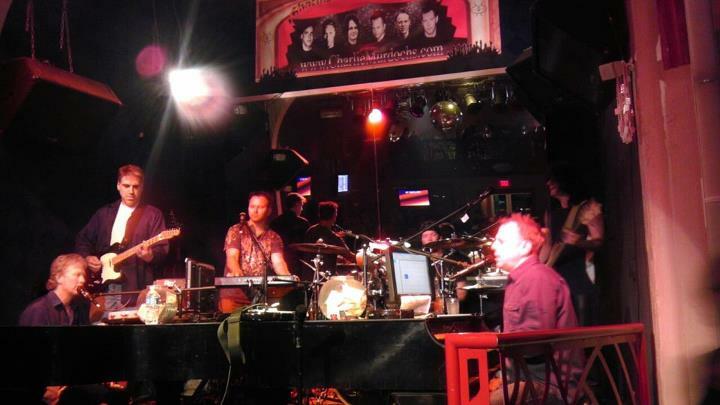 It’s the only bar in the area offering a rock and roll piano show and the ‘church of rock’ band is made of professional musicians : pianist Sean Roberts, vocalist John Hasinger, guitarist Ron Soltis, organist Matt Tichon, and Dave Granati on electric guitar. The full band, playing legendary classic hair rock (hair inclusive ) plays a set in between the song requests every forty five minutes. For an extra special night, take your bachelorette/ birthday friend along and have them receive The ‘church of rock’ royal treatment getting the special boy or gal on stage, draping them over the piano and serenading them with an embarrassing song or two and dirty jokes made at their expense, all in good fun of course. The band’s musical prowess is unbelievable being able to perform anything, literally anything. Ask for anything and they will deliver from the more classic Blue Oyster Cult hits to more contemporary Green Day singles or even Eminem or country, or pop, or RnB, whatever your flavor. In keeping with the rock and roll theme the bar also offers specialty drinks named after rock classics, so go on down and have a ‘purple haze’ or ‘highway to hell’ and if these don’t catch your fancy then the $3 bottom shelf liquor till 11 pm surely will. Did we say Charlie Murdoch’s is unconventional? Even the song requests are done different with revelers bidding using a Tune Minder system to place their wagers instead of just requesting and getting their song on their playlist. Get competitive with the bidding wars to hear the song you want played or not hear a song you detest. Get into the spirit of the night as the performers invite you to sing along as loudly and as drunkenly slurred as you please. Be warned though, if you want to book a table for a large party do it early, last minute planning won’t get you a table at Charlie Murdoch’s but if you do get in there in time you get a private bar and bartender with your booking. Bookings are available for private parties, bachelor and bachelorette parties and birthday parties with VIP reservations charged at $75. You can contact the bar directly to make your booking/ reservation. You want a highly interactive, improve show incorporating amazing musicianship, comedic timing and current events then Charlie Murdoch’s dueling piano rock show, the only piano rock show in Pittsburgh is the place to be.